The Balea VII Apartment is located in front of the Orio beach, it has a terrace with sea views and parking in the same building. 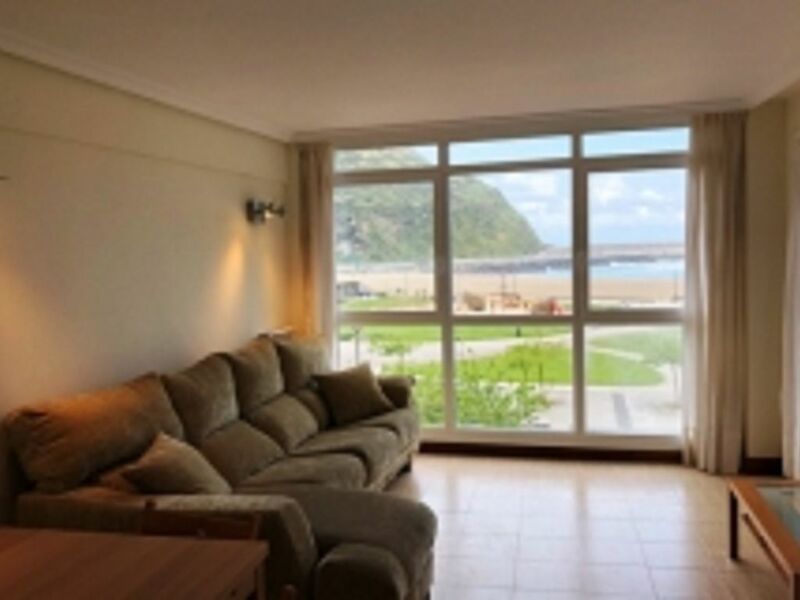 It is very bright and is located about 15 km from San Sebastian. The apartment has 3 bedrooms, for 6 people, 2 WCs, kitchen, living room and free Parking for 1 vehicle. Places of interest: incredible views, the beach, family activities, art and culture, and restaurants and food. The day of arrival, we will be in the same apartment. The later arrival time is at 9:00 p.m. In case of arriving later, please notify before making the reservation, because there is a supplement of € 30 to pay on arrival, arriving from 21. 00 to 23. 00 hours, but we need to confirm it before booking. On December 24 and 31 we accept delivery of keys until 7:00 p.m.
1 parking space in the same building. GRATUITOUS. 1 hair dryer is offered. Las entregas de llaves son de 3 a 9 pm . En el caso de llegar de 9 a 11 pm , hay un extra de 30€ a pagar en metálico a la llegada. NO ADMITIMOS ENTREGAS DE LLAVES A PARTIR DE LAS 11.00 pm. // El 31 de Diciembre entregamos llaves hasta las 19.00 horas. Collection of keys if from 3 to 9pm . In case you are arriving from 9 to 11 pm , there is an extra of 30€ to pay in cash on arrival. WE DONT ACCEPT COLLECTION OF KEYS AFTER 23.00 HOURS. // On 31st of December , latest collection of keys is until 7 pm.